The points were shared in an evenly contested 1-1 draw between Hemel Hempstead Town and Havant & Waterlooville at Vauxhall Road. 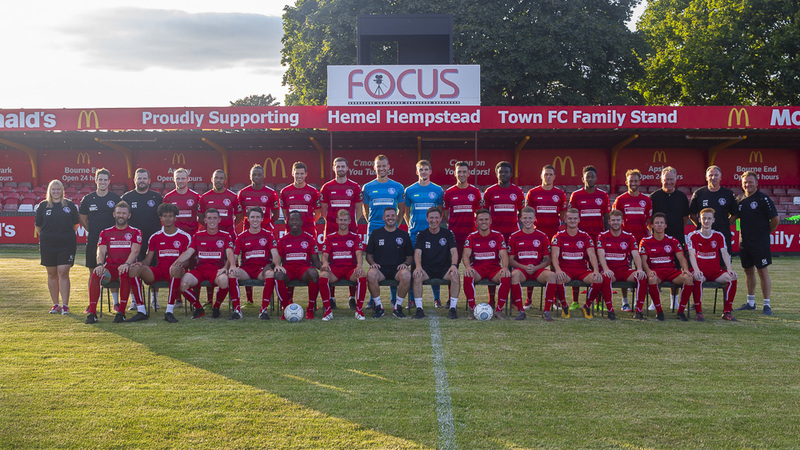 Nicke Kabamba gave Hemel the lead towards the end of the first-half however Scott Donnelly struck midway through the second to ensure a share of the spoils. Both sides struggled to show any ascendency in the early exchanges however as the half progressed, it was Hemel who grasped a foothold in the game and carved out a number of attempts on goal. Tudors skipper Jordan Parkes forced Havant keeper Ryan Young into a couple of smart saves including one he tipped onto the post superbly to keep his side level. At a time Hemel were dominating the game, they got the goal they deserved as Kyle Connolly found space down the left and delivered a perfect cross for Nicke Kabamba to head home. The home side continued to create chances after the break but failed to take them as Matthew Saunders, Moussa Diarra and Kieran Murphy all squandered opportunities to double their lead. Hemel were lacking the ability to be clinical in front of goal and that came back to haunt them as the Hawks equalised. A tame free-kick from the left was cleared to the outside of the box and Scott Donnelly was first to react to fire a low effort through a pile of bodies and into the bottom corner. defences stood strong as the game finished with a point apiece.